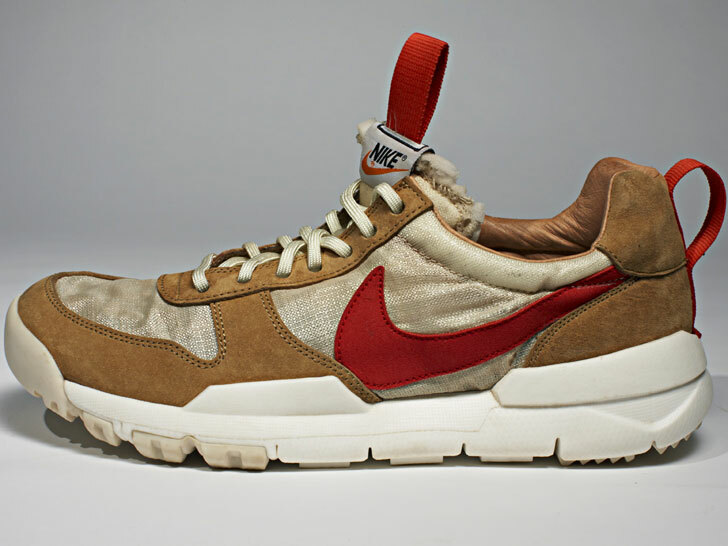 In partnership with artist Tom Sachs, Nike will be releasing a collection of clothing, bags and shoes, dubbed "NikeCraft", which utilises materials usually used by NASA — materials never before used in sportswear. By sportswear standards, these sneakers and totes are pretty pricey. 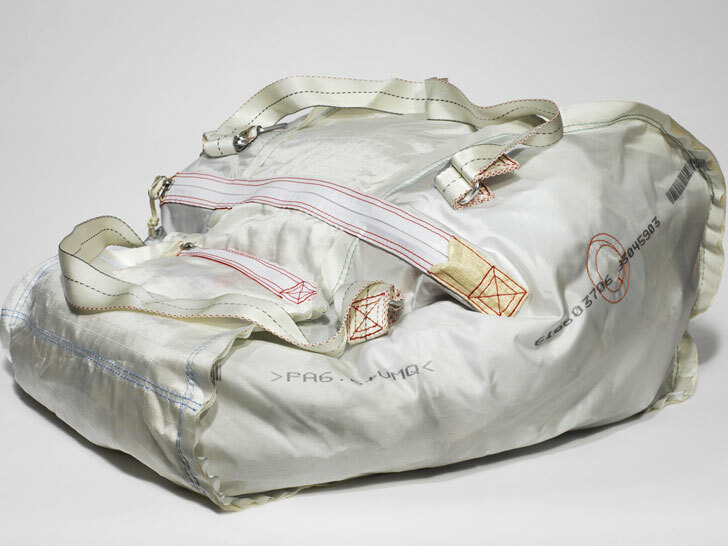 But in lieu of actually travelling to the moon, a few hundred bucks for a NASA-inspired duffle seems a relative steal! The "Mars Yard" shoe ($US385) features vectran fabric from the Mars Excursion Rover airbags and detailing from Apollo lunar overshoe. Its outersole is borrowed from the Nike special forces boot. This $US400 tote is made of Cuben fibre, a laminated polyethylene fabric typically used as sailcloth. It features a 9m parachute cord, a pry bar, a grappling hook and a AAA-battery or drugs case. 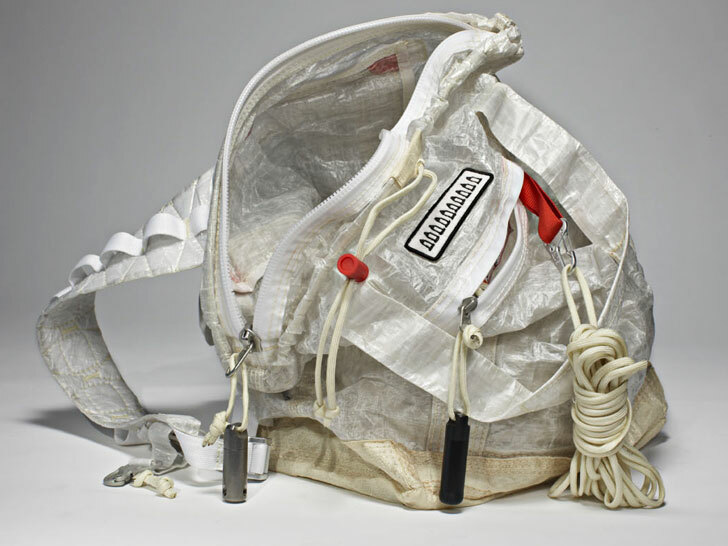 The "Spacebag" duffle ($US250) is made with automotive airbag materials and Vectran lining from the Jet Propulsion Laboratory. It features a waterproof zipper and aluminium interior dividing clips.